With a rich history that dates back to the 1880's, The German Village neighborhood of Columbus is as fine of a testament to German tradition as any resident or visitor could ever ask for. This area is not just great for exploring, but a top-notch choice of where to live in our city as well: imagine residing where you take daily strolls through Frank Fetch Park, and sampling fine wares from other local staples such as Katzinger's Delicatessen. This amazing quadrant to shop, dine, and stroll will remind you daily that these vendors are the backbone of Columbus, and they endured times as tough as ever to make it when they first arrived. Here in German Village, no structure is over 3 stories tall, and one of the first things you'll notice is the spire of St. Mary Church. Part of what Columbus residents really hold close to their hearts is the way that German Village has changed: which happens to be surprisingly very little at all. The sidewalks are mainly composed of orange masonry, and the focus is on moving around by foot, which is the best way to slowly take everything in. It took millions of individual bricks to create this one-of-a-kind neighborhood, and you'll notice how special it is immediately. 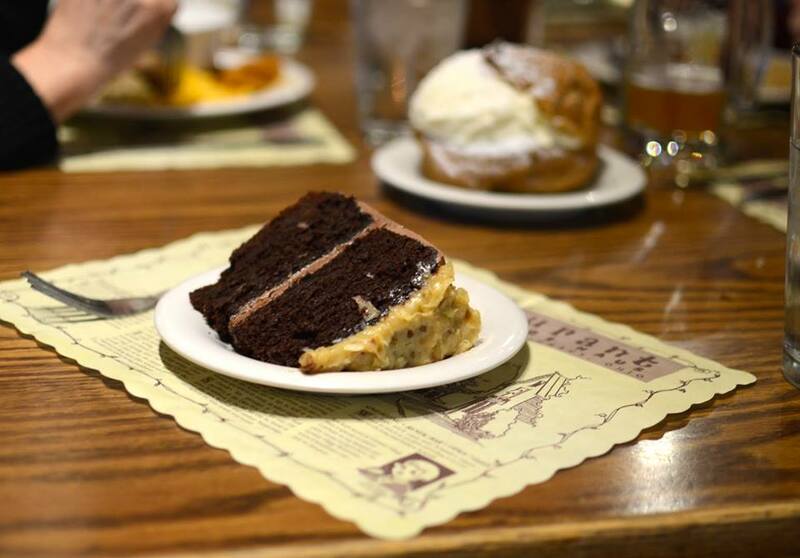 Since 1886, Schmidt's has been a destination for those seeking Bratwurst, Sauerkraut, German Chocolate Cake, and other mouthwatering favorites. Owner Fred Schmidt was born just north of Frankfurt, Germany, and moved to the states in the 1880's. He began his business that now purveys some of the most sought-after meats nationwide in the heart of German Village, and was able to weather the Great Depression with an incredibly busy packing house business in the early 1930's. 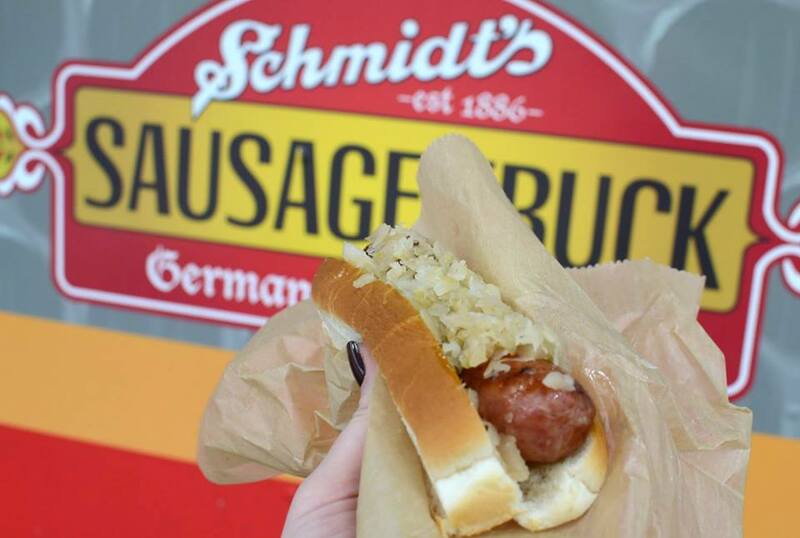 If you happen to be elsewhere but your mouth begins to water for favorites like the Bahama Mama, Bratwurst, and German potato salad, you can check out their website for the daily location of the Sausage Truck. You can also book the truck for special events such as weddings, office parties, or other family events. Launched 6 years ago for the first time at an Ohio State Football game, it was evident that the Columbus crowds were wild about this mobile venue offering up the best German eats around. On the Starters and Appetizers side of things, you can pick the famous Pretzel nuggets, or opt for another delicious German tradition: Sauerkraut-Bratwurst Balls. The most sought-after soup here is the original potato soup: all-the-way-from Idaho potatoes served in a captivating and tasty creamy base. 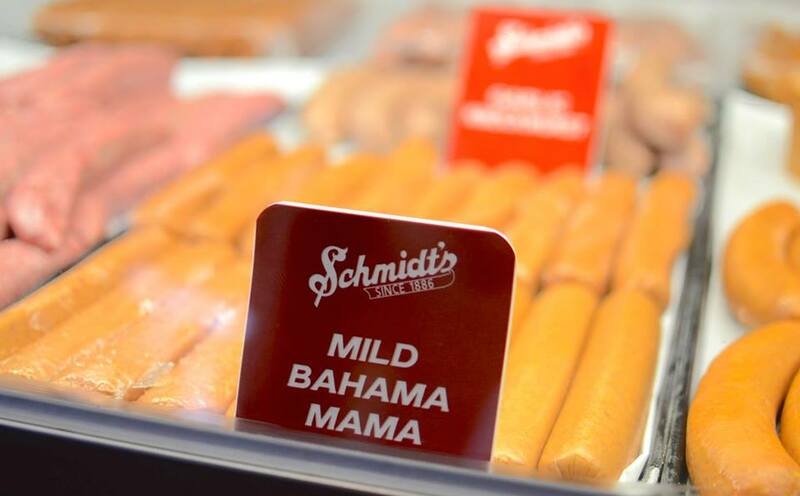 All of the signature sausage platters are served over hot kraut, and paired up with Schmidt's famous German Potato Salad and chunky applesauce. The Bahama Mama is especially popular: concocted with hickory smoked sausage and spiced with their own secret seasoning, it has snagged up multiple awards, including Columbus Monthly's “10 best entrees” honor. The Old World Sausage Platter gives the diner a sampling of four sausages and varied spicy flavor, and many who are stopping here for the first time give this platter a test run to see what they like best. 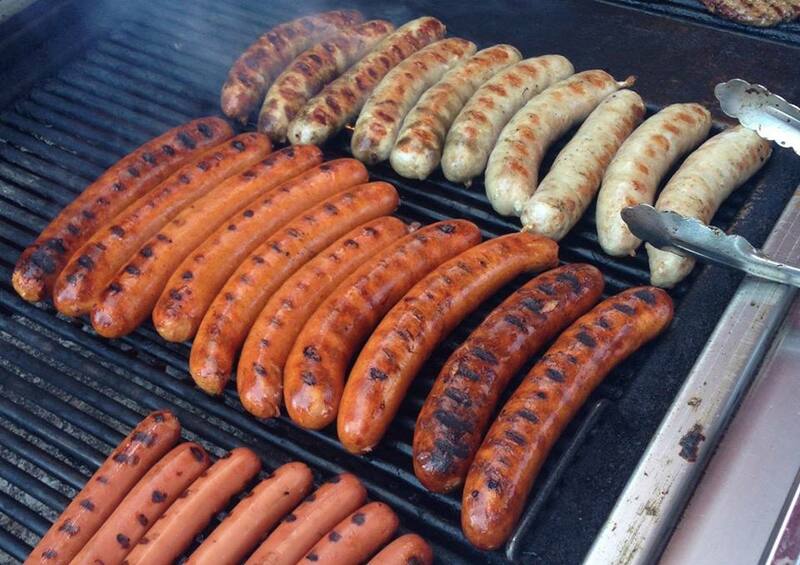 The Bratwurst Platter still carries the honor of being the city's first, and the Milder Mama Platter offers up a great choice that is lighter on the spice. 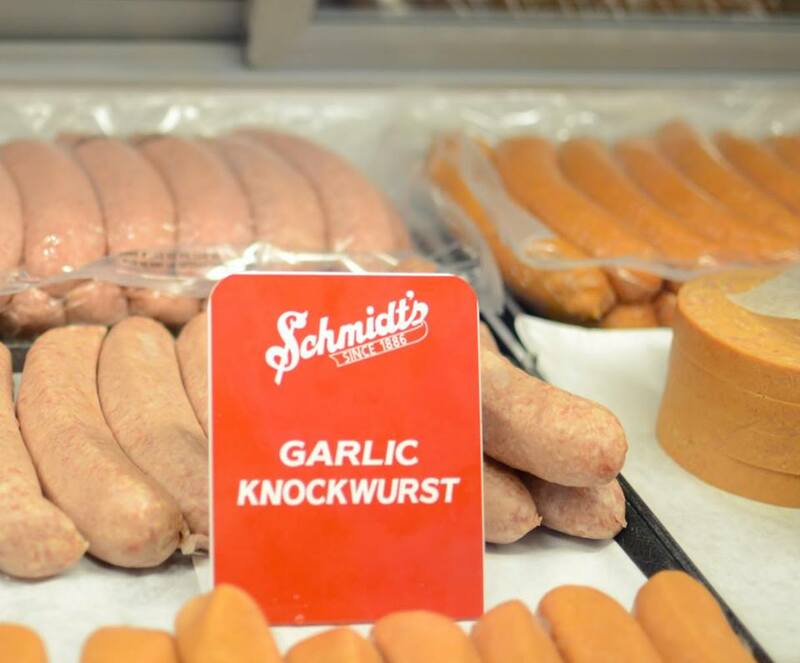 The German Knockwurst is a traditional hickory-smoked beef and pork sausage that has a perfect hint of , and is grilled to optimum perfection. 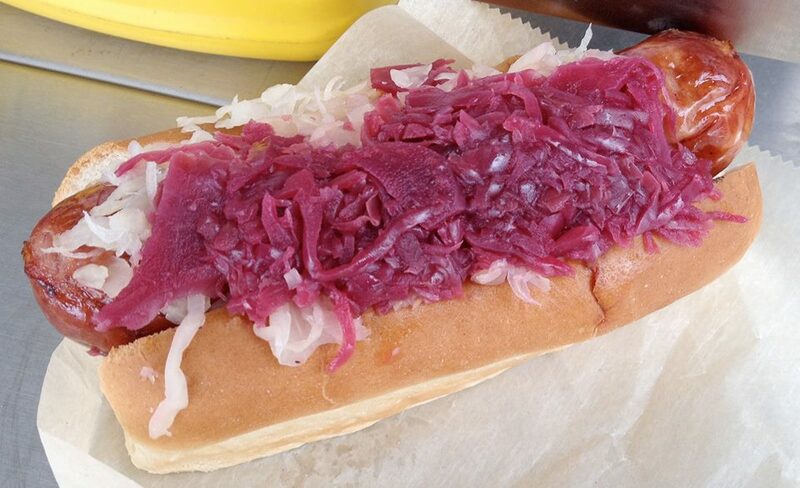 The sandwich options are where traditional German collides perfectly with other fares and flavors. You can get a Bahama Mama or Bratwurst sandwich, but you can also snag up a traditional Corned Beef Reuben. For something truly filling from the filet department, you can check out the Brewmaster White Fish: Mild white fish, dipped in their very own German Village Beer-Battered recipe, lightly fried, and served on a special roll with tartar sauce. Jumbo cream puffs, apple strudel, and German chocolate cake are the norm for ert fare: these portions are huge, and they could charge twice as much with ease if they wanted to. 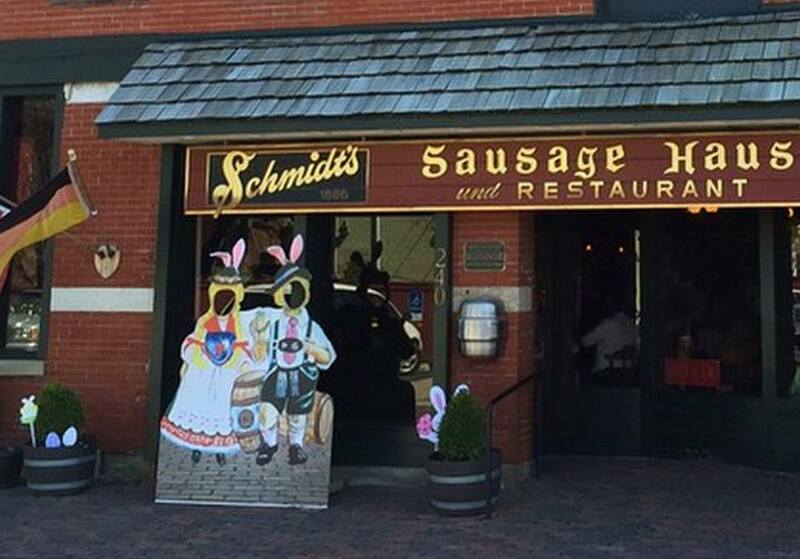 Be sure to stop by this summer and check out Schmidt's and all of the other things to do in German Town, and get a sampling of one instrumental element of what makes Columbus so great. Events such as art walks, an all-American vibrancy with true flair, and a chance to get some exercise for all of you cubicle-dwellers will be much needed. Summer is a time to get to know the locals, see the different things each neighborhood has to offer, and sample the culinary awesomeness that Columbus is known for. Get your walking shoes on and bring your appetite: the night is young, and waiting for you to make your own memories in German Town.